Promote this versatile PLR Article Pack in a hot, hot niche! Women's Health PLR at 50% Front End Commission! Great OTO and DS offers, too! With Graphics, Video Links, WordPress Goodies and More! Women's health is always a hot topic. Half of us are women, after all, and the unique health needs of women haven't necessarily received the attention they deserve. In many cases, women are the readers, shoppers and buyers of the family. Smart marketers always keep the needs of women foremost in mind. Give this hungry market the information they need with this diverse pack of PLR articles specifically geared to Women's Health. Norma Esler of HomeFreePLR has provided ten illustrated articles including social media graphics and video presentations available as links to embed into blogs or websites. 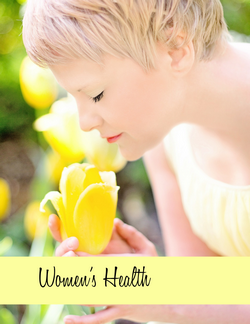 $17 FE at 50% Commission - Women's Health PLR Article Pack! For use on your blog and on social media. Perfect for Pinterest, etc. Provided as links that you can feature on your blog. Everyone knows that Google loves video, so these links will help your buyers get noticed! Just Copy and Paste into your WordPress site using the text edit mode. The tedious work of formatting is easily worth ten times the price of this whole bundle! OTO at 50% Commission - Women's Health Website Kit PLR Bundle! Your readers can have all this great information on Women's Health at their fingertips in this convenient, downloadable eBook. Provided as an html file, with image folder included! DS at 50% Commission - Women's Health PLR Bonus Bundle! *These article packs are provided as txt files only. This content is not exclusive to Norma Esler or HomeFreePLR. Who needs Women's Health PLR? There is no question about it. Women have unique health needs. Norma Esler at HomeFreePLR has put together a PLR package that can help you serve this hungry market. Starting with a summary of the Signs of Abnormal Menstruation, right through to tips on How to Manage Menopause Symptoms, Women’s Health has got you covered. That women are just as much at risk for heart attack as men are? That the hormones associated with menstruation really do cause moodiness? That feeling tired all the time could be a sign of heart trouble? That some of your daily habits could be putting you at risk for a urinary tract infection? That changes in your bathroom habits could be a sign that you’re pregnant? That feeling sick to your stomach could be a sign of this number one killer? That this certain bad habit could be putting you at risk for breast cancer? Women's Health deals with all the ups and downs, hormonal roller coasters, and crazy changes that are just a normal part of the everyday experience of being a woman. To better serve you as a content provider, Norma has provided a set of ten comprehensive articles as txt files, doc files, and preformatted WordPress posts complete with graphics. She has even included video links to made-to-order videos for each of the ten articles! Google loves video, so not only is this a great bonus for your customers, you also are giving your sites a boost in the search engines. All this for a low introductory price of just $7! Give your readers the information they need. For a great overview of the particular health concerns of women, get Women's Health today. And don't forget to check out the other special offers that are attached to this value-packed Women's Health PLR Article Pack! Grab your affiliate links today! Please note: Some material in this offer is not exclusive to HomeFreePLR.